14k Gold Square diamond bracelet. Diamonds total an incredible 3.75cttw, each stone is 2x2mm square. This design is available in a large variety of carat weights up to an incredible 24 cttw, email for additional pricing. Price shown is for the I1 clarity H-I color diamonds. Looking for a better quality diamond? No problem because this is a made to order item we're happy to make it just perfect for you. This square diamond bracelet measures 7 inches in length (email for additional length pricing). Bracelet weighs about 15.8grams. Bracelet is custom made to order and requires about 3 weeks so order early. Can be ordered in 14k White, White and Yellow, or White and Rose gold. Alternate diamond qualities also available. 14k Gold Vintage diamond bracelet. Diamonds total an incredible 4.25 cttw, also available in a 5.75 cttw option. Price shown is for the I1 clarity H-I color diamonds. Looking for a better quality diamond? No problem because this is a made to order item we're happy to make it just perfect for you. 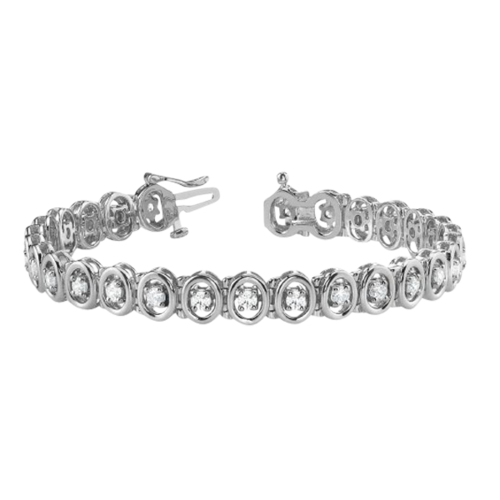 This vintage diamond bracelet measures 7 inches in length (email for additional length pricing). Bracelet weighs about 19.9grams. Bracelet is custom made to order and requires about 3 weeks so order early. Can be ordered in 14k White, White and Yellow, or White and Rose gold. Alternate diamond qualities also available. 14k Gold Flower Design diamond bracelet. Diamonds total 2 cttw, also available in a 3 cttw option. Price shown is for the I1 clarity H-I color diamonds each measuring 1.8mm round. Looking for a better quality diamond? No problem because this is a made to order item we're happy to make it just perfect for you. 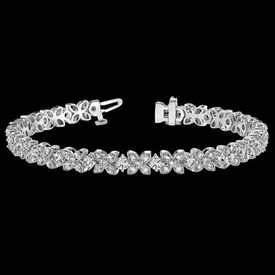 This fancy diamond bracelet measures 7 inches in length (email for additional length pricing). Bracelet weighs about 9grams and is set with SI 1 clarity G-I color diamonds that total 1 7/5ctw. Bracelet is custom made to order and requires about 3 weeks so order early. Can be ordered in 14k White, White and Yellow, or White and Rose gold. Alternate diamond qualities also available. Beautiful 14k Gold Oval design diamond bracelet. 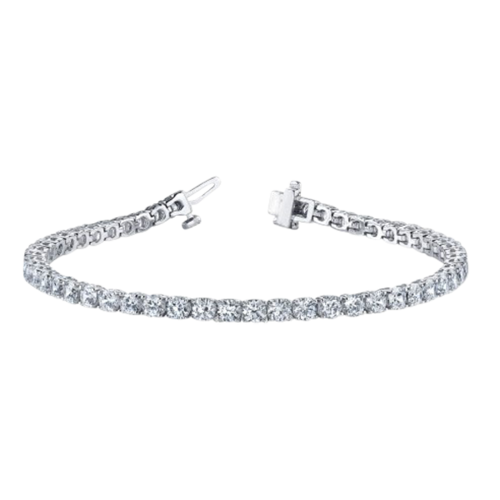 This lovely diamond bracelet measures 7 inches in length (email for additional length pricing). Bracelet weighs about 18.8grams and is set with SI 1 clarity G-I color diamonds that total 1 7/5ctw. Bracelet is custom made to order and requires about 3 weeks so order early. Can be ordered in 14k White, White and Yellow, or White and Rose gold. Alternate diamond qualities also available. Stunning Gold and Diamond bracelet. 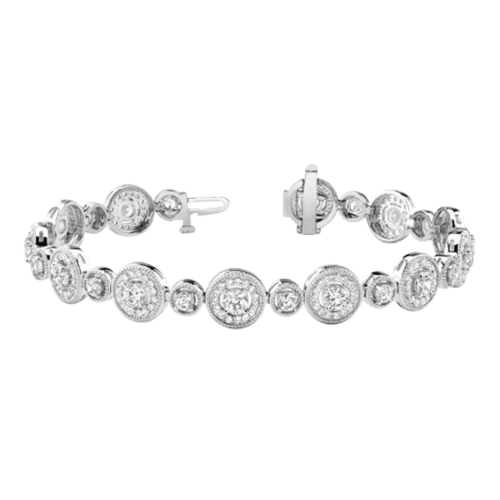 This divine diamond bracelet measures 1 inch wide and 7 1/2 inches in length. Italian made bracelet weighs about 41.8grams and is set with SI 1 clarity G-I color diamonds that total 1 1/3ctw. Bracelet is custom made to order and requires about 4 weeks so order early. Can be ordered in 14k White, White and Yellow, or White and Rose gold. The diamond connection links are the white metal. 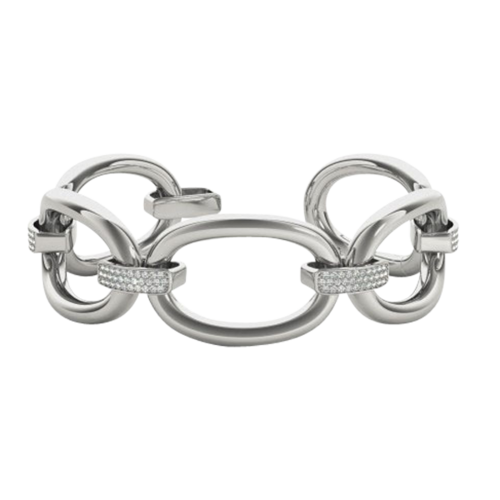 Diamond bypass hinged design bracelet. 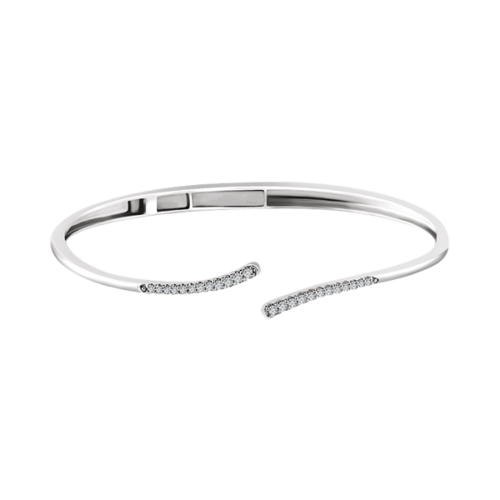 This diamond hinged cuff bracelet measures 7 inches and is 14k white gold. Diamonds total 1/4ctw. Classic 3cttw Diamond Tennis bracelet. 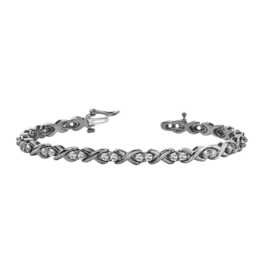 You'll love this stunning classic design made to order in your metal choice, diamond quality, or diamond size. Our suggested price shown is for the 14k white gold 3cttw, each diamond is 2.2mm round and SI 2 clarity H-I color. Additional clarities listed. 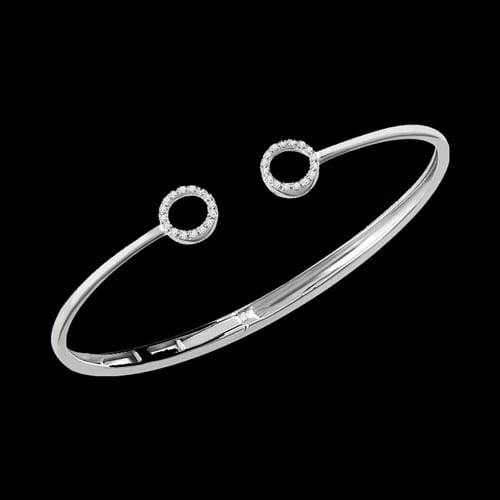 It's YOUR bracelet, why not have it YOUR way. Use our request link for additional lengths or Platinum options. 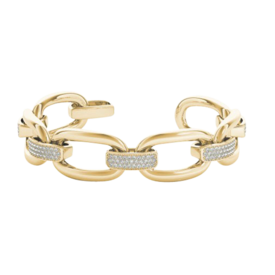 14k Gold bezel set diamond bracelet. 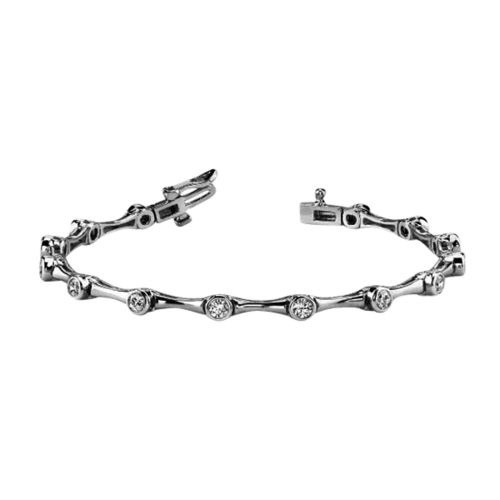 Our price shown is for the 2cttw bracelet, additional weights also available in this great style. Diamonds are I1 clarity H-I color. We're happy to adjust diamond quality. It's your bracelet you decide the metal color, diamond carat weight, and quality. Order this in 14k yellow, 14k white, 14k rose gold selection. Bracelet is 6 1/2 inches in length but we're able to make any length. Bracelet weighs about 12.05 grams. 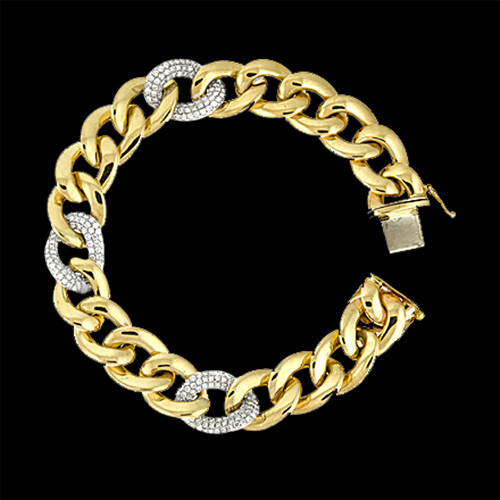 14k Gold bezel set diamond bracelet. 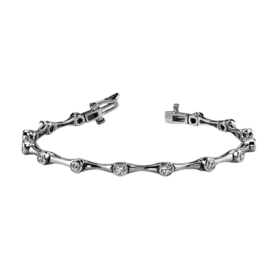 Our price shown is for the 3/4ctw bracelet, additional weights also available in this great style. Diamonds are SI 2 clarity H-I color. We're happy to adjust diamond quality. It's your bracelet you decide the metal color, diamond carat weight, and quality. Order this in 14k yellow, 14k white, 14k rose gold selection. Bracelet is 6 1/2 inches in length but we're able to make any length. Bracelet weighs about 11.38 grams. Beautiful 14k gold "XO" style diamond bracelet. Diamonds total 1.75ctw in this popular bracelet and our price is for the SI 2 clarity H-I color diamonds. Each diamond in this design measures 3.1mm round. Order this in 14k yellow, 14k white, 14k rose gold selection. Bracelet is 6 1/2 inches in length but we're able to make any length. Bracelet weighs about 19.65 grams. Lovely 14k gold Hugs and Kisses design diamond bracelet. Diamonds total 1.25ctw in this popular bracelet and our price is for the SI 1-2 clarity G-H color diamonds. Order this in 14k yellow, 14k white, 14k rose gold selection. Bracelet is 6 1/2 inches in length but we're able to make any length. Bracelet weighs about 20.5 grams. Incredible 14K Gold flower diamond bracelet. 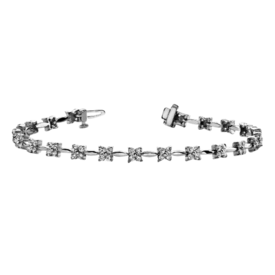 Beautiful diamond bracelet is set with 3 1/6ctw diamonds in a variety of diamond qualities. Bracelet is priced at 7 inches in length but we're happy to create in your length. 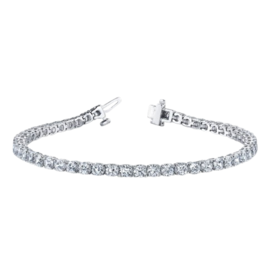 Diamond bracelet is available in 14k yellow or white gold. Brilliant 14k gold graduated diamond bracelet. Diamonds total an incredible 2 7/8ctw. 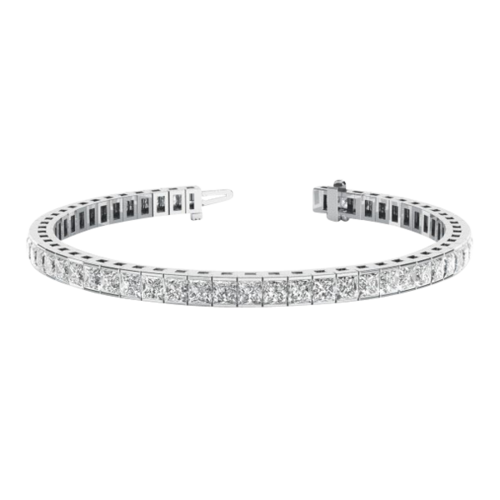 Our price shown is with I1 clarity H-I color diamonds, it's your bracelet you decide the diamond clarity with our drop down menu. Order this custom made to order bracelet in 14k yellow, white, or pink gold. Also available in 18k yellow, white, or rose gold. Gorgeous Italian made Bold gold diamond bracelet. 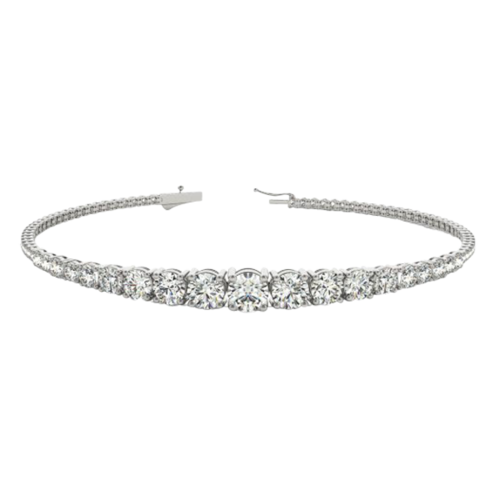 This incredible bracelet weighs about 39 grams and is set with 1 5/8ctw diamonds. Stylish design is 8 inches in length and .7 inches in width. A custom made to order design that you are able to order in 14k white, yellow, or rose gold. Gorgeous 14k gold and diamond bracelet. Diamonds cover 3 links of this incredible design and total 2 carats. You'll love the rich Italian gold mixed with diamonds, this bracelet is readily available in a 7 1/2 inch length but can also be ordered in an 8 inch length. Incredible Two-Row diamond bracelet. 14k Yellow gold set with 4.10ct tw SI 1 clarity F-G color diamonds and measures 7 inches in length. Diamond bracelet works beautifully with a formal ensemble or your favorite business suit. This timeless design is also available in 14k White gold, 18kt gold, or Platinum precious metals and 5 carat weights starting with the 4.10ct up to an INCREDIBLE 15.00 carats. Customize one just for you, ANY length!!! Feminine Hugs and Kisses with a twist design diamond bracelet. Price shown is for the 14k Yellow gold 2.50ct tw SI 1 clarity F-G color bracelet measuring 7 1/4 inches in length. We can make this ANY LENGTH, and a variety of metals including 18kt and Platinum. Email for pricing. Incredible Bubble design diamond bracelet. 14k Yellow gold bezel set diamonds are like clustered bubbles in design. Price shown for the 14k Yellow gold 1.75 carat SI 1 clarity F-G color diamonds 7" in length. 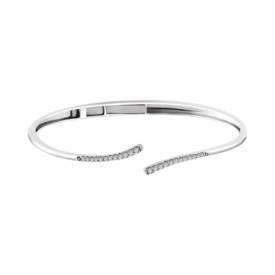 Bracelet measures 5.20mm in width by 3mm Design is also available in 14k white, 18kt, and Platinum. Carat weights include 1.64ct, 2.10ct, and a large 3.10ct. Order this bracelet YOUR WAY, YOUR Length, Your quality, EMAIL for pricing. Magnificent Diamond "S" design tennis bracelet. This diamond bracelet is available in 14k White gold, 14k Yellow, 18Kt, and Platinum. Price shown is for the 1.50ct tw option with SI 1 clarity F-G color diamonds. Bracelet measures 8mm wide by 4.75mm tall and 7.25 inch length. Customize order this bracelet just for you. Email for pricing on ANY length, alternate carat weight, or alternate diamond quality.